Whatever your reason for joining us - a drink with friends, watching beach cricket, some delicious locally sourced food in our restaurant or beach front beer garden, a bed for the night - we can assure you of a warm welcome from staff who care. 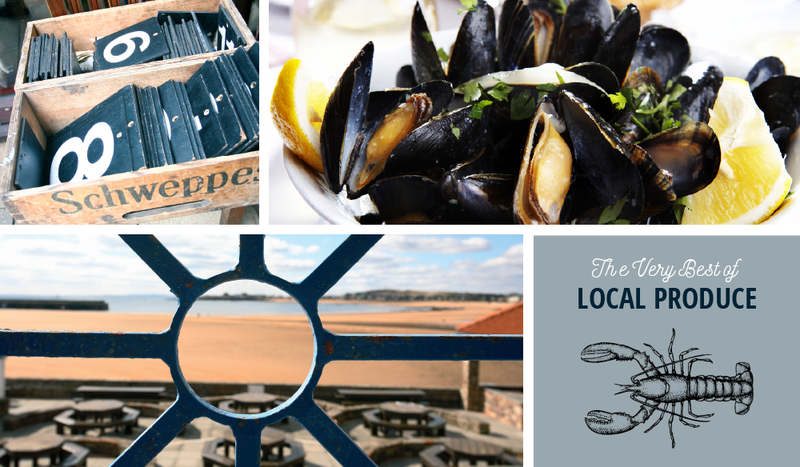 At The Ship Inn, we source our ingredients from the best suppliers and where ever possible, locally. Fife is famous in 'foodie' circles for the high quality and variety of local produce, from fresh seafood and beef to fruit and vegetables. The pub has a large selection of beers, wines and refreshments so what ever the occasion, there's sure to be something for you. Our wine list includes our personal favourites as well as some delicious new wines we've recently discovered. You might even find your new favourite. The Ship Inn occupies one of the most stunning locations in Fife with views along Elie Beach to Earlsferry. Throughout the summer months you can enjoy a drink while watching the famous beach cricket matches from our beer garden. A perfect solution for those who want to take out the stress of finding gifts for those impossible to buy for. We have the answer! Now available in our online shop. 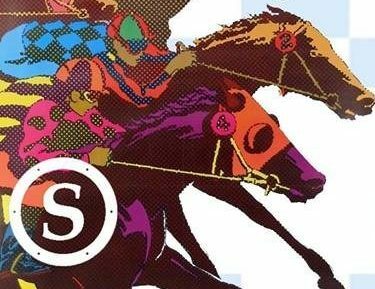 The Ship Inn once again be organising a bus to and from the Fife Point-to Point on Saturday 20th April. 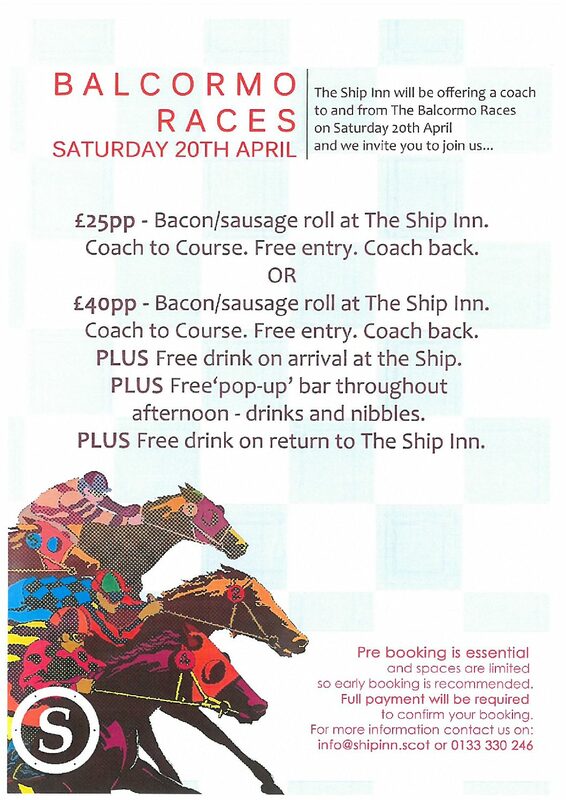 Please send us an email to info@shipinn.scot if you would like to book your spaces and to join in the fun! 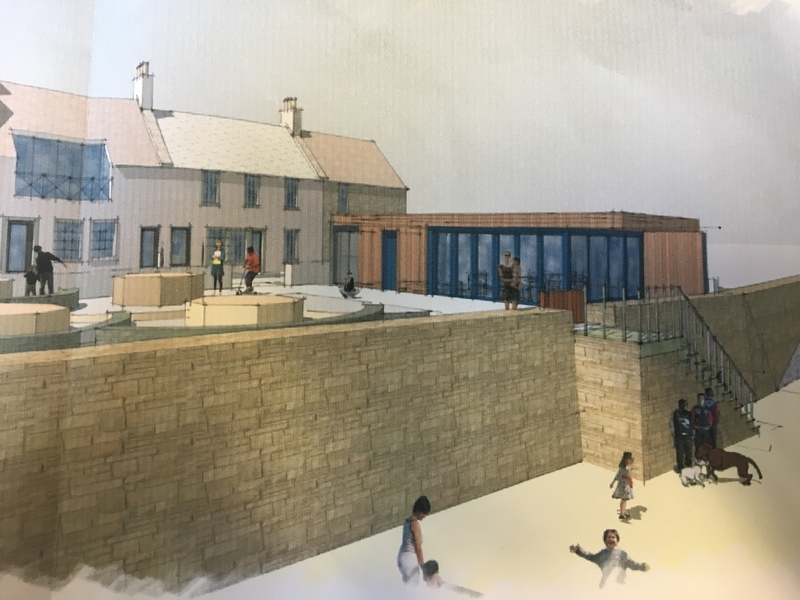 The Ship’s Cabin will be available to hire out exclusively for up to 30 guests from April 2019, and will have a couple of its own personalised menu’s available for all functions, leaving each event as individual as its own. Whatever your reason for joining us – a drink with friends, some delicious locally sourced food in our restaurant or a bed for the night – we can assure you of a warm welcome from staff who care. All of the team work hard each day to provide you with the best that Scotland has to offer. We very much hope to welcome you to The Ship Inn soon. There is always lots going on at the Ship Inn, from beach cricket to BBQs and wine tastings. Check out our Events Calendar and see what we’ve got coming this summer.